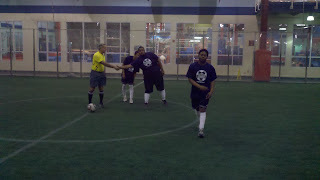 Above, ssnyc's marcus shakes the referees hand as teammate julio prepares for the opening kick. 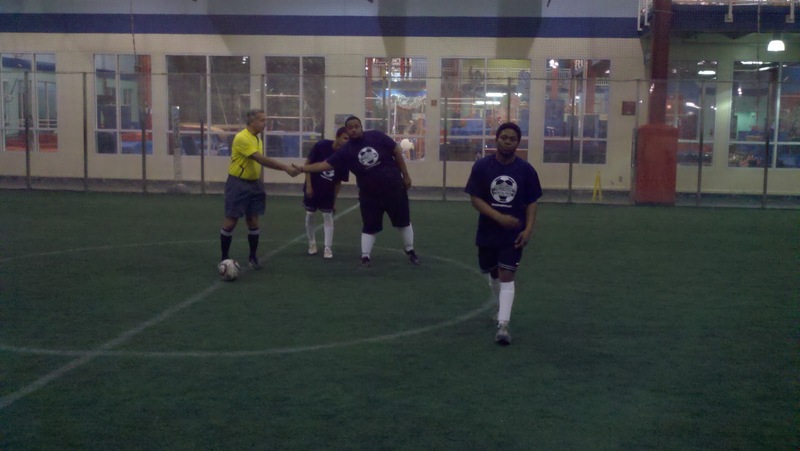 It was a fresh set of faces for this year's ssnyc team at their first match in the chelsea piers 5 a side league. Most players had trained all fall without an external competition so it was a special day and the group was nervous. I wanted them to do well so badly I too had sweet palms. 13 players attended including several a whorecently moved out. For marcus, luke, joe, tk, charles, and angelo this meant an several ours on the subway and bus system for a few minutes on the pitch. The 11-1 score against our favor does not portray the hustle, teamwork, st at times expressive and stylish combination play. Congrats to all. More anecdotes from the evening to come . . .